Apple is set to begin producing all iPhone batteries on automated production lines starting later this year, according to a report from DigiTimes. The move is being done to reduce manpower demand and to allow the company to shift its supply chain resources towards production efforts on other parts. Apple has already automated its Mac Pro and iMac production lines. Other than materials and final assembly, manpower is not required for the rest of the manufacturing. The move will likely help Apple with iPhone production going forward, as company supplier Pegatron will reportedly be starting production on the iPhone 6 in the second quarter of this year at its new Kunsahn, China plant. Moving the production of iPhone batteries to automated lines may also help Apple avoid manufacturing defects like ones found in a small number of iPhone 5s last year. Apple's next-generation iPhone will likely be unveiled in the fall, and has been rumored to launch with two different models including one with a 4.7-inch display and one with a 5.7-inch display. The iPhone 6 could also feature a durable sapphire display, with other rumors pointing to a thinner chassis and bezel-free design. I wish they also invested their time in researching ways to improves batteries. I wish they also invested their time in researching ways to improve batteries. Why all the Apple hate at MacRumors? It's not Apple hate, it's Socialist love where profit is evil. I would have assumed that it was already automated to be honest. My iPhone 4 still has very good battery life, after many years of service :) Kudos to Apple for the battery. Cause Apple aren't already investing millions in doing exactly that already. 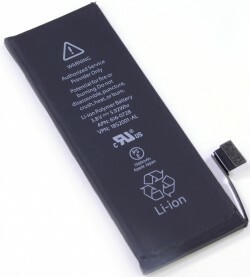 Do you honestly think that they are doing nothing to try and improve battery technology? Too bad Apple can't invest more of this ingenuity toward improving the battery life and size, instead of focusing on automating a subpar product. Apple like many others are heavily invested in research and design. The issue is there is no next big thing we are at the peak of what's currently available. Hence why newer phones use less power as that is currently the only step forward. Socialist don't think profit is evil. Socialists like profit as long as the govt takes it all. "Device production became problematic since hands are simply too big, so we reimagined the assembly line by removing human involvement and replaced them with thinner, lighter automated devices building 40% thinner, lighter automated devices"